West Bank. Nabi Saleh. 2013. 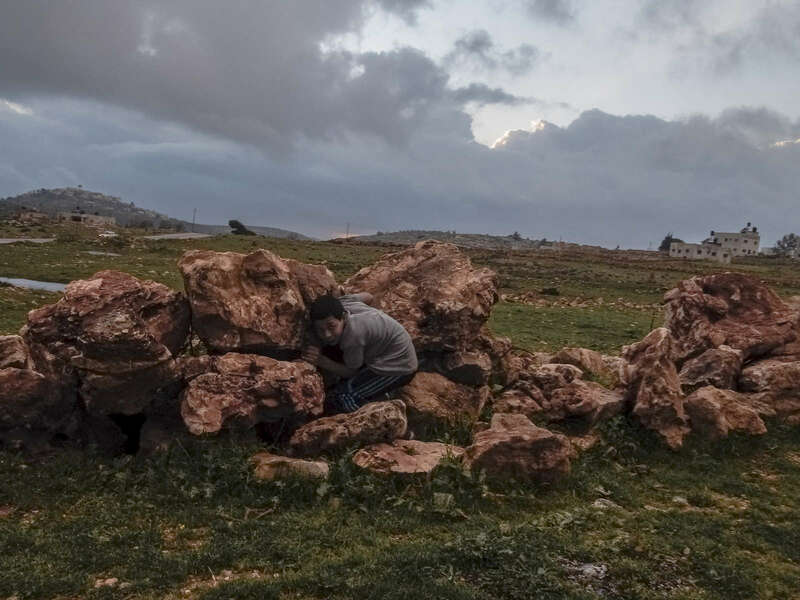 A boy ducks for cover as Israeli soldiers fire rubber bullets at a group of boys throwing rocks at them.